It was, for the most part, an exercise in bitter retrospection. 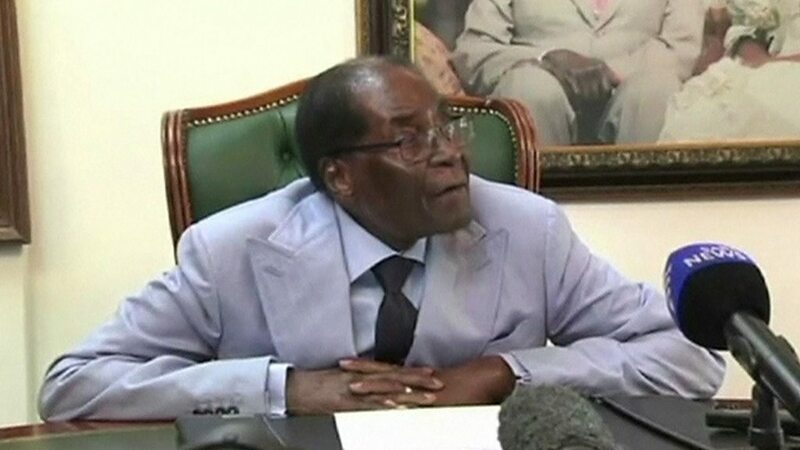 Zimbabwe`s former President Robert Mugabe spent much of his first press conference since being ousted reflecting on the illegality of last November`s "coup d`etat," and on the personal sense of betrayal that clearly still preoccupies the 94 year old. But while some Zimbabweans, and historians, may find much to ponder in Mr Mugabe`s enduring sense of victimhood, and in the dramatic details he provided about his allies` escape, under gunfire, from Harare, the real question for the country is what - if anything - this carefully choreographed media intervention means for the future. Above all, it means working out what Mr Mugabe meant by the phrase "we must undo this disgrace" - in reference to the coup - and whether anyone will now take him seriously. It is easy, and tempting, to conclude that Zimbabwe has moved on; that Mr Mugabe`s tetchy claims that the man who ousted him, Emmerson Mnangagwa, is "improper… illegal" as nothing more than sour grapes, to be quietly ignored by a nation, and an international community, that has overwhelmingly accepted the legitimacy of the new president. His press conference however has not endeared him to many of his detractors. "A cruel old dictator seeking public sympathy. Not from me," said newspaper publisher Trevor Ncube on social media. "This man destroyed our lives, murdered thousands and… today he appears on foreign media which he banned and claims he must be invited to a transitional process," scoffed the outspoken campaigner Pastor Evans Mawarire, using the hashtag #RetireInPeaceBob. And yet, Mr Mugabe`s strident claims that Zimbabwe remains a constitutional delinquent - that the criminality of the coup cannot simply be wished away - will hold true for some and will surely echo, albeit faintly, through the chaotic politics of a country now preparing for national elections in the coming months. It`s worth remembering that, despite the sudden unity displayed by the governing Zanu-PF as it rallied behind Mr Mnangagwa and turned its back on Mr Mugabe, last year`s military coup was prompted by deep factional battles within the party, and - not unlike South Africa`s ANC and its new leadership - those divisions will not vanish simply because a new man is in charge. A new party, the National Patriotic Front (NPF), has emerged in Zimbabwe as a vehicle for those in the G40 faction of Zanu-PF. These were ambitious figures - who claimed to speak for the youth - who rallied behind Mr Mugabe`s wife, Grace, and briefly succeeded in ousting Mr Mnangagwa. And yet, the NPF seems unlikely to make significant electoral inroads in such a short time. And Mr Mugabe`s implicit endorsement of the party may not prove to be the vote winner that he would like to imagine. "They`re just a bunch of useless, irrelevant individuals, grandstanding," said war veteran`s leader Chris Mutsvangwa, of those, like former ministers Saviour Kasukuwere and Jonathan Moyo, who now appear to be working behind the scenes with the NPF. "This is fatuous nonsense from an over-indulged old man.
" In the meantime, most Zimbabweans are preoccupied with more mundane issues, as they cling to the hope that President Mnangagwa can deliver on his promise to revive the economy, capitalise on an anticipated rush of foreign investment, pay salaries, and bring a once prosperous nation back to its feet. At his luxury villa on the edge of Harare, Mr Mugabe faced the foreign press from behind a grand desk, seeking, it seemed, to project the illusion of power. He cut a forlorn figure, as he offered to help return Zimbabwe to the path of constitutionality, but stipulated that "I must be invited, properly invited, for that discussion.
" He may have to wait a while. In the meantime, perhaps the most perceptive comment he offered to the visiting journalists came as he ended his prepared remarks and looked up from his notes. "Currently… I am isolated," he said, with some understatement.